The Rose Circles Project is now moving into an expansion phase. More funding will be required in order to reach a wider circle of women in India. Priority is given to widows and single mothers with children. 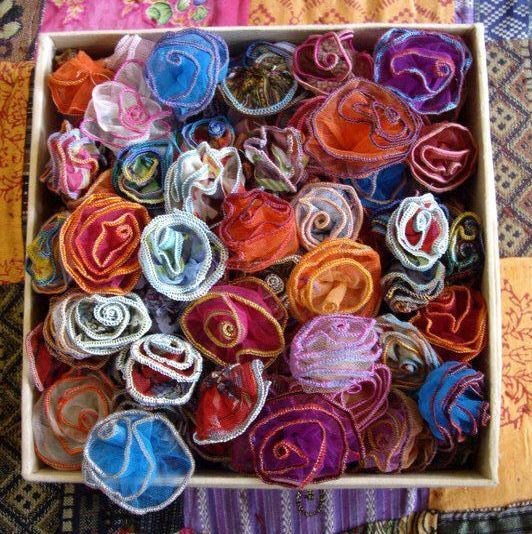 An immediate option would be to purchase a box of 100 rose brooches as gifts for your women friends. Alternatively you could re-sell these at local markets or by party-plan from your own home. (Our online shop is still under construction, so please send your order using the contact page). Orders are shipped door to door anywhere in the world. A second option would be to make a donation. All donations, big or small, are received with gratitude and will facilitate contination of the work. Blessings, love and gratitude for your ongoing generous support.